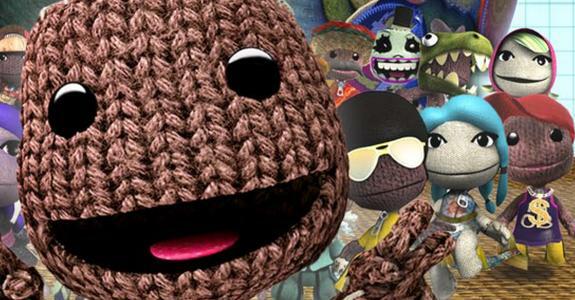 It looks like the release for Little big Planet 2 has snuck up on us in adorable little Sackboy costumes. Media Molecule, the brilliant minds behind the Little Big Planet series, has announced for Comic Con that Little Big Planet 2 will be released this November 16th to be exact. For those keeping track, that's relatively soon - and just in time for the holiday season. Along with the Even More Animals pack of four skins, the following skins are available from individual retailers. 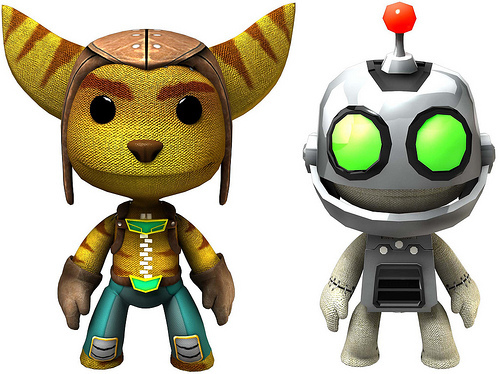 Amazon.com's preorder, Ratchet and Clank skins. 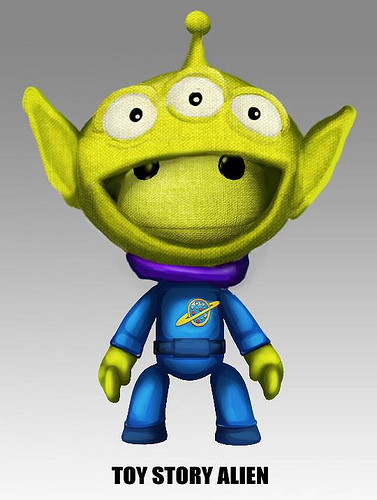 Best Buy/Best Buy.com will net you the Toy Story Alien. Ooooohhhhh. 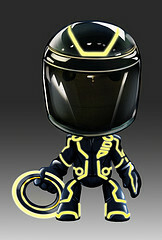 Gamestop/Gamestop.com gears you up with Tron. And just to whet your appetite, it looks like there will be a series of Muppets released on the PSN store shortly after the games release. 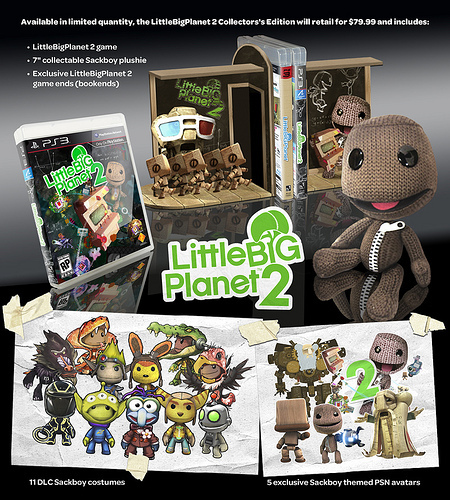 For those that are just Little Big Planet 2 fanatics, there is also a huge collectors edition that includes all of these skins, as well as a Sackboy plushy, a copy of Little Big Planet 2, book/game ends, etc. Media Molecule went all out on this highly anticipated sequel, but hopefully all of these skins become available for download on the PSN after some amount of time - after all, you can't pre-order the game in 3 different places, that's just not cost effective. I suppose we'll find out some time after November 16th, can't wait to see what happens.